Before the post, a thank you. Following a recent comment famine, the last 12 hours has seen a record 7 comments and 3 new followers. Well, 6 comments really as Steve Johnson posted the same comment twice. I think he realised I was feeling lonely. So thanks to all who posted and those who became followers. I hereby promise to leave more comments on other people's blogs. To keep the party atmosphere going, I have added the proper 'Follower' widget so all followers get their logo at the top of the page. And to celebrate, what better than another post? The photo shows a couple of howitzers recently acquired from (you guessed it) the RSM95 range. Austria to the left, Prussia to the right. 1. All mortars and howitzers have a minimum range of 6"... This is simply allowing the room for the shell to reach the top of its trajectory before falling upon the target. (p.81). Reasonable for mortars but quite incorrect for howitzers. These were perfectly capable of firing on a flat trajectory (sometimes using their shells for ricochet fire just like cannonballs) and were furthermore very effective users of grape or canister. So it is appropriate to use the same rules for fire within 6" (i.e. short range) as for ordinary guns. 2. Ranges have been fixed at somewhat less than equivalent cannons... (p.81). I have found no real evidence for this. For example, in the SYW period the ranges of the Austrian 6pdr gun and 7pdr howitzer are comparable. So my smoothbore field howitzers get a range of 48". 3. Enfilade Fire... [not allowed to] cannons firing overhead at a target, or howitzers or mortars that lob their shots upon their target. (p.55). For overhead fire in general or mortars, quite right. But again, howitzers were capable of (and commonly used) low trajectory fire, including canister. Either allow enfilade fire for howitzers as normal, or allow it for howitzers firing at up to half (or 'medium') range. A sensible seeming rule, but I can't find any 'profile' for howitzers in the rules. The only stats example that has howitzers (p.169) keeps standard gun stats of 3-2-1. I presume the above rule means that BP would give pure howitzers stats of 0-2-2, whilst my comments under 1 above would mean you should really use 3-2-2. However, this raises the question of why all guns in a SYW army weren't howitzers, if they were so effective. Well, Frederick II for one was pretty keen on them, but the point remains. Therefore it might be better to leave howitzer stats at 3-2-1, reasoning that it was much more difficult to hit at long range and that therefore casualties caused at long range would be less, as with guns but for slightly different reasons. I am pretty confident that the above objections are watertight, but as always comments are not only welcomed, they are positively encouraged. Thanks again to all readers. The effort needed to paint sufficient troops for my tabletop battles has in the past precluded the creation of figures which are there just to make the table look more interesting. However, I recently decided that some figures of this kind would make a pleasant change from painting 'real' soldiers, and would also improve the appearance of my Hochkirch battlefield when I take it to Colours in September. So after some online searching I ordered various bits and pieces (mainly civilians and a few sheep) from Hovels and Spencer Smith Miniatures. In the latter case I selected from the Willie Figures range. I ordered 8 of the 'wedge tents' from the ACW range (to represent the Prussian camps at Hochkirch), and from the 'Animals and Civilians' range I ordered a total of 9 sheep, a farmer, an innkeeper and an innkeepers wife. Total cost £24.38 including p+p. You can see them posed above with an RSM musketeer for comparison. I was very pleased with these items. I ordered with a bit of trepidation as the figures are advertised as 25mm (so I thought they might be too small) and Hovels aren't really known as a figure manufacturer (so I thought the quality would be poor). Wrong on both counts. The figures fit perfectly with my RSM95s, and quality is excellent - well sculpted, well cast figures with little or no flash. The tents are also good - just the right size and well cast in resin with no bubbles or other faults. Close up of 'wealthy farmer', RSM musketeer and 'innkeepers wife'. You can see below the figures I ordered from the Willie range. Again I was well pleased. This is an old range, of course, but the quality is fine and these are nicely proportioned, anatomically correct figures fully compatible with my RSMs. From left to right: D36 French Engineer Officer, D35 British Sutleress, N5 British Company Officer, D8a Lady Riding Side Saddle, RSM musketeer, D10 British Mounted Officer, N31 Gentlemen, N32 Lady, N33 Farm Boy, N34 Farm Girl. For my taste the pose of the lady's horse is a little extravagant, but on the other hand I particularly liked the portly sutleress. There is a bit of flash on these figures (which were cleaned up quickly for the photo) but it is very easy to remove. The officer figures come with separate swords to glue on. Total cost was £17.12 including p+p (I ordered 2 of the French Engineer Officer, British Company Officer and Sutleress, 1 each of the rest). Close up of Lady Riding Side Saddle, RSM musketeer, Gent and Lady. Service from both manufacturers was good. So overall I am well satisfied and looking forward to working my way through painting these models in the next few months. With a few individual musketeers and officers from the RSM range added in, I can produce some solo figures and vignettes which should add a bit of class to my SYW table. Back in October 2008 I published a post on Charles Wesencraft's Practical Wargaming. It was not in my collection of wargaming classics at that time, but I recently decided that it was high time I obtained a copy. The book is of course easily available as part of John Curry's 'History of Wargaming' project, but I hope John won't be offended if I say that owning an original copy was my preference, even if I had to pay a bit more. Digital reproductions are a great idea for keeping these old books in print, but the resulting books themselves lack the heft, character and production quality of the originals. Fortunately it seems there are still plenty of old copies of this book around. Imagine my surprise on finding a copy available for £3.30 (plus £2.35 postage) from a seller on the Abe Books site. 'Acceptable quality', the ad from the seller said, so I ordered it expecting a tatty copy, probably with no dust jacket. As you can see, I received a fully jacketed ex-library copy in what I would call very good condition. Hats off to The Perfect Book Store.com for providing such excellent customer satisfaction. There are plenty of copies on Amazon and Abe books for £20-£30, but this is a genuine bargain. Some sellers are trying to rip people off for £50 or more! I had forgotten the book had a chapter dedicated to rules for the eighteenth century. Much joy! They look perfectly playable and I'm certainly tempted to have a go. There are a couple of errors - Mr Wesencraft seems to have got the idea that infantry battalions in this period had light companies as in Napoleonic times (see photo of text above), and also that dragoons 'usually chose to move on horseback to a given point and then dismounted and opened fire with their muskets'. Not very SYW I'm afraid. Hussars also don't get a mention. But these are acceptable faults in a book which must have been cutting edge in 1974. 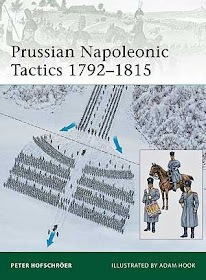 All the rules (there are sets covering 7 periods from ancients to the Franco-Prussian War, plus a campaign system) are well set out and easy to understand. The underlying principles are clearly explained and there are diagrams and photos to help you out. The basic simplicity of all the rules will ensure fast play. All this plus the most charming and well written introductory chapter you'll find in any book on wargaming. An outstanding piece of work indeed. I will be reading all of this book. Not just for nostalgic pleasure but also for rules ideas, and insight into how simple, straightforward rules systems can be developed. I just can't quite work out why I haven't bought it sooner.